Atlantis was headed toward its first study site when it was diverted by a mayday call at 9 p.m. Nov. 25 from a fishing boat that was relayed to all nearby ships by the Greek Coast Guard. 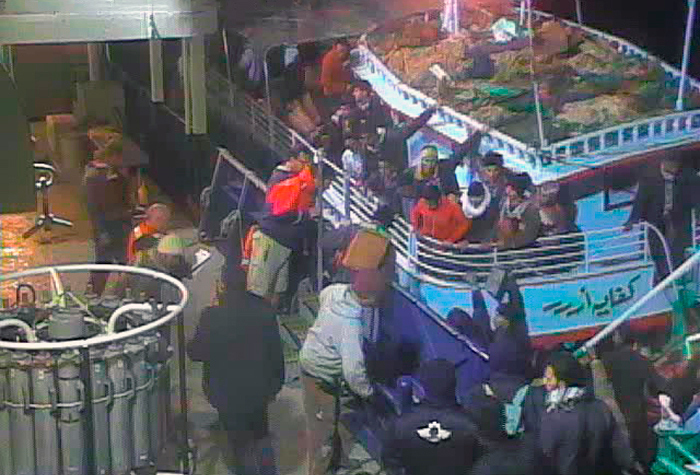 Atlantis responded to the call and began a rescue at sea, bringing 93 Egyptian men aboard from an overloaded and sinking fishing boat and detouring to bring them to the Greek port of Kalamata. 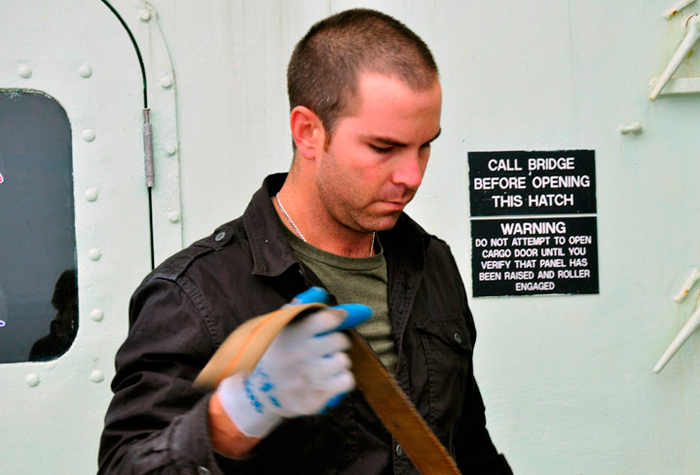 Following standard security procedures, Atlantis Captain A.D. Colburn III raised the ship’s U.S. Coast Guard Maritime Security Level from I to II and the crew took protective measures to secure non-crew members inside the vessel, locking all exterior hatches and portholes. 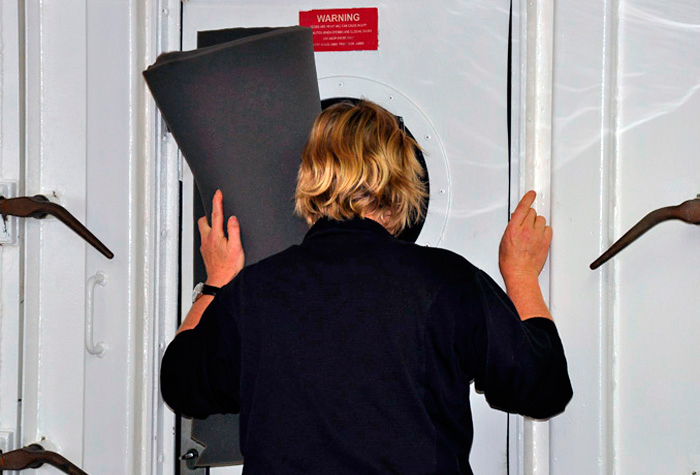 Ginny Edgcomb, the expedition's chief scientist, peeked out the window just as the rescued men began boarding Atlantis. Moments later she lowered the foam cover, which stayed in place until the men had left the ship. With everyone secured, Ginny Edgcomb turned to the next task: assessing the effects of the detour on the research plan and our scheduled route. Until we arrived at Kalamata, Greece, at 7:39 the next morning, the scientific team’s only windows on events outside were two tiny closed-circuit TV screens in the ship’s computer lab. 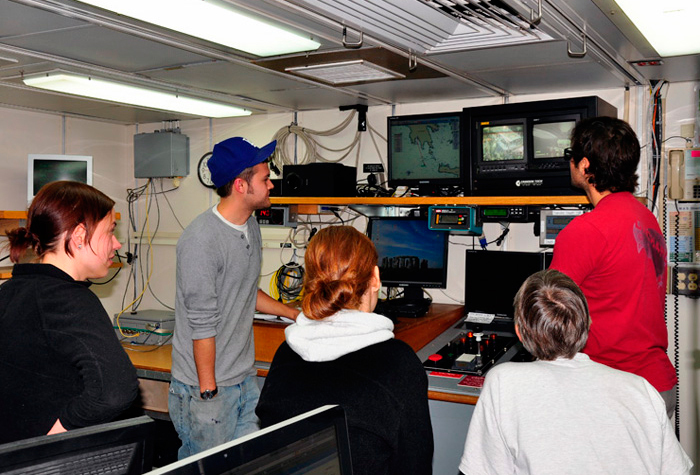 One screen showed the deck area on the starboard side, just behind the main lab; the other showed the deck area on the port side where the remotely operated vehicle Jason is berthed. Trying to keep tabs on events outside on deck are (l-r) Lea Weinisch, Colin Morrison, Sabine Filker, Ellen Roosen, Bill Orsi. 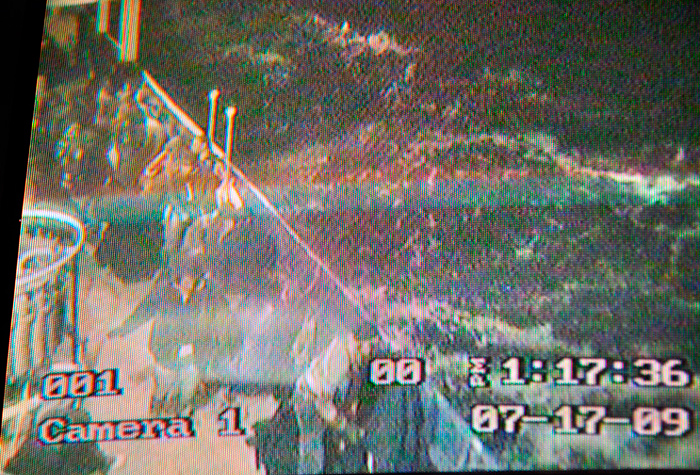 Ninety-three men (including a few teenagers) boarded the ship one-by-one for their own safety and to allow Atlantis crew and Jason team to count them. After they had all left their small fishing trawler, R/V Atlantis quickly moved away from the foundering boat. The rescued men spent a cold and windy night in the shelter of the hangar where the deep-sea submersible Alvin usually is stowed. They received blankets, dry socks, first aid, food, and water from the Atlantis crew, which remained on deck with the men throughout the night. 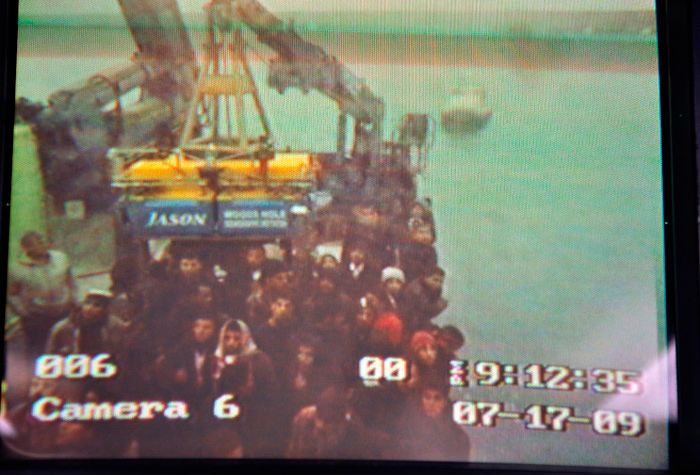 As the ship approached the dock in Kalamata, the men were moved to the fantail where the remotely operated vehicle Jason was stowed. 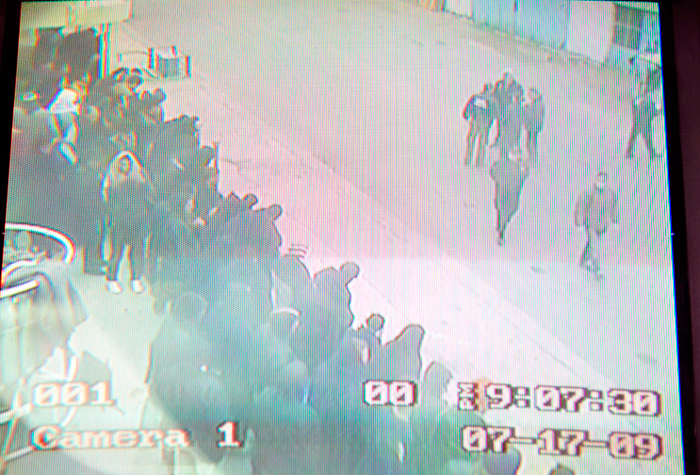 At the dock in Kalamata, the men moved to the starboard side of the ship and waited to disembark the same way they came aboard—one by one. 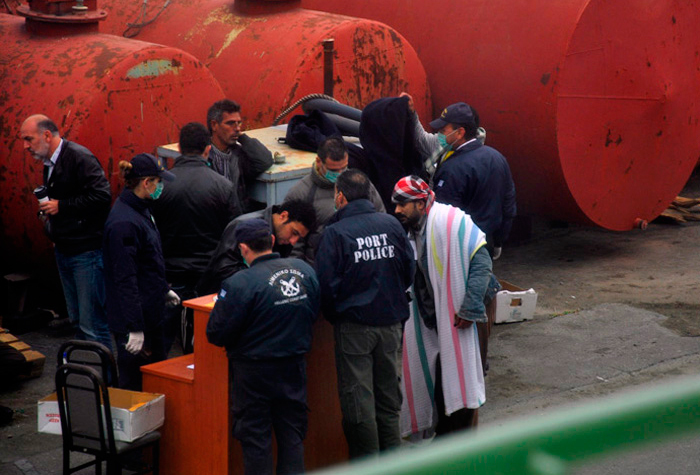 Greek port police set up a portable station where they interviewed and searched the men. Most of the men took their Atlantis blankets with them. This man carried a striped cotton blanket; most had a dark blue fleece blanket like the one being lifted by a man behind the rescued man. Two of the rescued men watch R/V Atlantis as it pulls away from the Kalamata dock. 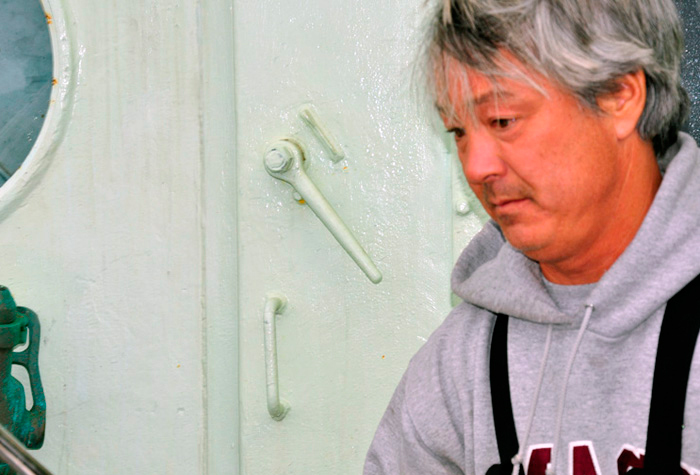 After a full-day work shift on Friday and spending the night outside tending to the rescued men, Ordinary Seaman Ronnie Whims and other crew members helped move an instrument out of the main lab the following morning to get ready for research operations that had been delayed by the rescue. 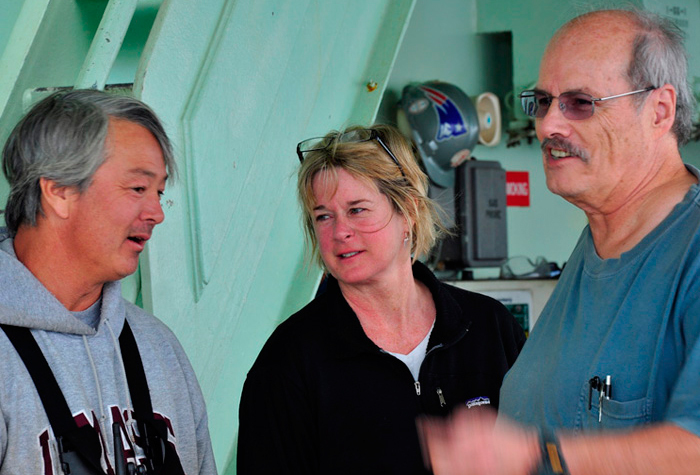 Atlantis’s Bosun Patrick Hennessy fills in WHOI scientists Ginny Edgcomb and Craig Taylor on the preceding night’s events. Hennessy was among the Atlantis crew members who stayed outside with the rescued Egyptians throughout the night. After a long but ultimately gratifying day and night, Patrick Hennessy and the rest of Atlantis‘s crew were bone-tired the next day.